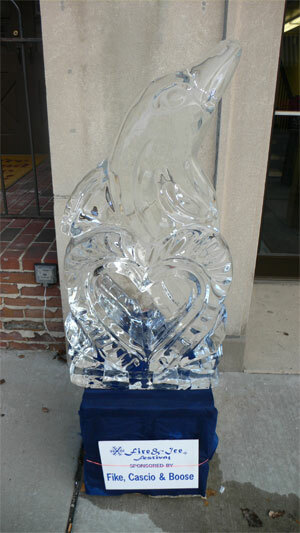 With subzero temperatures, it’s more ice than fire this year, so the sculptures will be here for a while. Click here for event details. 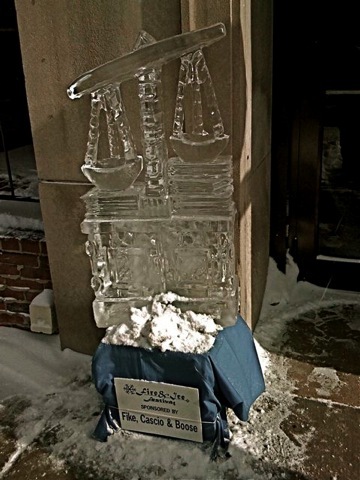 Uptown Somerset's annual Fire and Ice Festival kicked off today in unseasonably warm conditions.Here is a picture of Fike, Cascio & Boose's sponsored sculpture in case it melts before you get here.